This is a superior country property which oozes style and luxury living. It presents any potential buyer with a number of opportunities to enjoy country living as well as potential for a number of business options based on a plot size of in excess of 13000 square meters. The current owners have invested extensively in order to create the house it is today, which continues to be maintained to a very high standard. As you enter the grounds of this property through the electric gates the visual impact of the property and grounds are breathtaking. The driveway is focused around a central garden, and offers space for a number of vehicles, although this property also offers a car port, giving a more shaded option for two vehicles. There are wonderful landscaped areas which have an array of mature shrubs and trees, plus shaded areas for enjoying alfresco dining, as well as lovely sunbathing areas surrounding the stunning private and spacious pool. There is a large superb covered terrace with plenty of relaxation space. From this terrace you enter the main house and off the hall there is a super lounge which is tastefully furnished and includes a lovely wood burner. There is a completely separate dining room, with some lovely pieces of free standing furniture. There is a separate fully fitted kitchen with plenty of storage and work surface areas, all fitted to a high standard and finished in a modern design. There is also a most useful utility room connected to the kitchen and with a door giving access to the outside of the property. Also off this hall are two spacious double bedrooms with free standing wardrobes, one of which has a tastefully tiled en-suite shower room. There is also a full family bathroom off the hallway. This property continues to Wow !! as you reach the Master Suite. There is a spacious office, large enough to accommodate 2 desks and a number of storage options; you then enter into a beautifully fitted dressing area with custom made fitted wardrobes, providing a large amount of storage. The master bedroom is wonderful with so much space and benefits from full width sliding glass doors offering superb views of the pool and in the distance views of the surrounding countryside. The master suite is completed with a larger than average en-suite, which includes a full bath, walk in shower, WC and wash area, all tiled with top quality products. Once you are outside this property the land space does not disappoint, offering an orchard with many other planted shrubs and trees. There is a large workshop with all electricity connected, storage and up and over door to the front. Adjacent to the workshop is a large brick building fully equipped with water and electric being used as storage by the current owners, however the building is spacious enough to use as additional self contained accommodation. This property is only an 8 minute drive from Crevillente and 12 minutes from Elche. 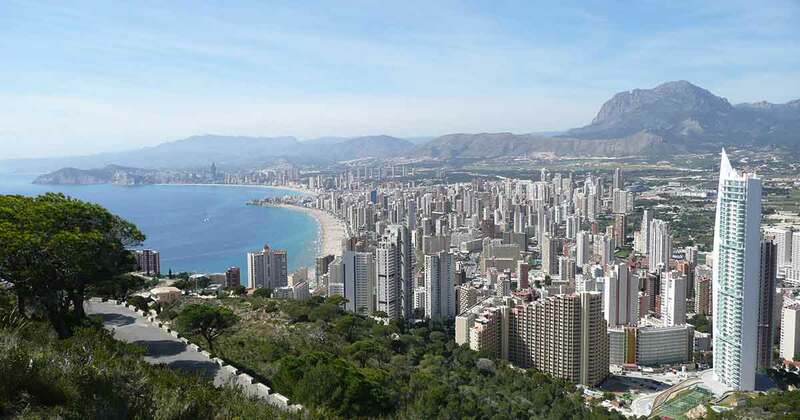 Alicante Airport is approximately 20 minutes by car. This property is a stunning example and early viewing is highly recommended. You are enquiring about 4 bedroom house / villa for sale in Crevillente, Costa Blanca and your enquiry will be sent directly to Belvedere Estates. Want the latest properties in Crevillente, Costa Blanca in your inbox?